Parents name their baby Hashtag: And why not? The Daily Dot reported today that a couple with the last name Jameson named their newborn daughter Hashtag. The link made the rounds on the office listserv, accompanied by the clucking you’d expect. Someone pointed out that the story was likely fake, which heartened everyone since it meant, presumably, that another innocent child would be spared years of teasing and humiliation on account of her parents’ poor judgment. I won’t argue that the road would be smooth for a girl named Hashtag, and I do understand the merciful impulse that prompts most people to look on names like Hoodie or Microwave with dismay. 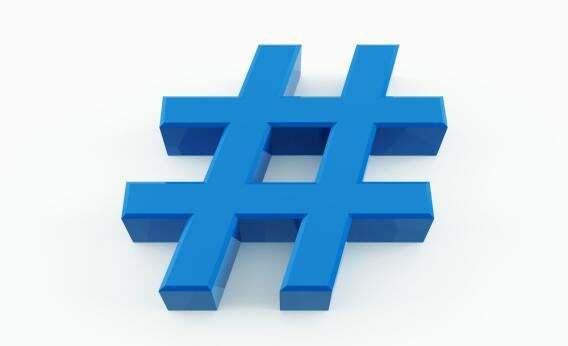 As a practical matter, the case against Hashtag is #airtight. (“Kids are assholes. So are adults. There WILL be jokes,” wrote one editor.) Philosophically, though, our nomenclatural prudery makes no sense. Let’s run through several of the common objections to Hashtag. This is a terrible reason not to do something. Unusual names, just like unusual clothes or sounds or family situations, can be beautiful. And every child is bound to defy the norm somehow—efforts to make your kid fit some template of averageness are going to fail. You might as well face that reality now, while you’re mulling over baby names, instead of wondering why you got the daughter who insists on being Wiccan. Clearly the particular meaning and connotations of Hashtag are what get people so exercised. Perhaps the word seems too naked in its desire for trendiness. Perhaps we don’t like the idea of naming someone after the ephemera of our noisy, often obscene media culture. But if we have flower-inspired names, why can’t we have Twitter- or typography-inspired names? Why is it OK to christen a kid for a season, a plant or a virtue, but not an appliance, a field of study, or an article of clothing? What about birds? Why is it that you can call your daughter Wren but not Seagull? Why can my Southern colleague marry a guy named Tripper without thinking twice, but George Costanza draws fire for wanting to dub his firstborn Seven? It all seems so arbitrary. “We’re still attached to ye olden days when names meant a lot and you wanted them to carry a history and a sense of poetry,” suggests one coworker, wisely I think. “Thus Rose, and not Instagram…Summer, and not Nintendo.” Except that poetry is no more stable than any other mode of language—its wheelhouse of evocative nouns expands every day. Maybe soon, people will begin to accept the value of a truly rich and diverse repertoire of names. (A hashtag is a hashtag is a hashtag?) For now, though, I just hope this (possibly imaginary) kid avoids the nickname “Hash.” No one should be named after a drug or a breakfast food. That’s where I draw the line.